Museum collections dedicated to the most famous Russian writers exist in some surprising places - from a hotel room in Sri Lanka to a small house in a German spa town. The writer stayed in Room 304 at the Grand Oriental Hotel in Colombo, Sri Lanka for only a few days in November 1890. He stopped there after a difficult sea voyage, while travelling from Sakhalin to Odessa. Today the room has become a memorial museum. In 2010 a monument to playwright who created "The Three Sisters" and "The Seagull" was unveiled near the hotel to honor the 150th anniversary of Chekhov's birthday. Anton Chekhov spent the last month of his life at the resort town of Badenweiler. On July 15, 1904, weakened by illness, the writer drank a glass of champagne and with the words "Ich sterbe…" (I'm dying), died. The museum opened in 1998. In 2004, in honor of the 100th anniversary of the death of the writer, a seagull sculpture was erected on what by then had been renamed Chekhov Square. Nearby, commemorating the legendary play, a symbolic cherry orchard with seedlings brought from Russia was planted. Of the seven museums dedicated to the writer only one is located outside Russia - in the Kazakh city of Semey, where Dostoevsky was sent after serving time in a Siberian penal colony. The writer spent slightly more than five years in Kazakhstan (1854-1859). It was here that he met his first wife, Maria Isaeva. The museum is located in a wooden house where Dostoevsky rented an apartment. The great poet never visited America, but for years people talked about setting up a museum in his honor. In 1997 so many Pushkin fans came to the museum's opening in New York that police had to block streets to traffic, museum director Nadine Glinskaya recalls. The museum has displays about all periods of the writer's life, from his school days to the fatal duel in St. Petersburg in 1837, with original exhibits and copies presented by Russian museums. The literary museum in Vilnius is located in a mansion that once belonged to Pushkin's son Grigory. The exhibition details the poet's life and creativity, featuring Lithuanian translators and translations of his works, as well as the writer's plays that were staged in the country. 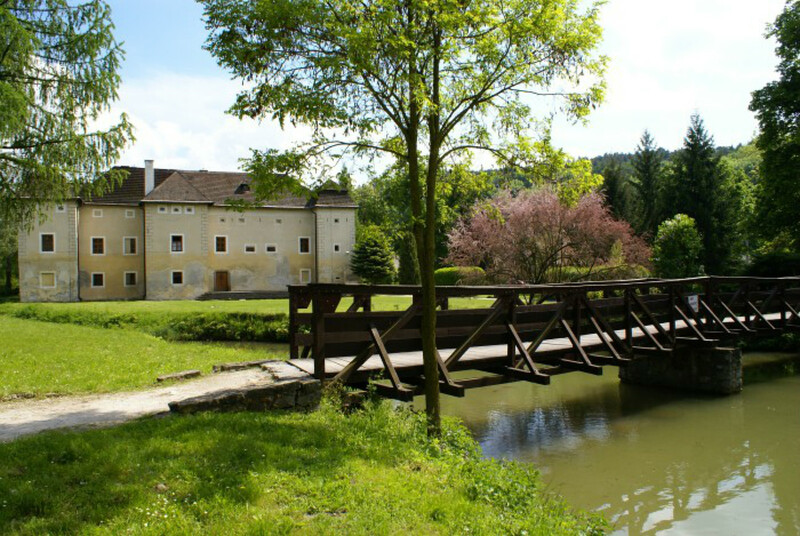 The museum was established in Brodzany in 1979 in a restored 16th century castle, which the poet's wife Natalya often visited. The main exhibits are objects from the family archive, works of art and period furniture. The museum presents a detailed history of Slavic literature, starting from the founders of the Old Slavonic alphabet, the brothers Cyril and Methodius. The Mayakovsky Museum opened in the town of Baghdati in 1940 on the personal orders of Joseph Stalin. It was in this house that in 1893 the future Soviet poet was born and lived the first years of his life. From the terrace you can see the mountains that Mayakovsky knew as a child. "… Above the forests are mountains. I grew up. Used to run up to the highest. The mountains decline to the north. There's a rift in the north. I dreamt it was Russia. I desperately wanted to go there," Mayakovsky would later write in his autobiography. The Soviet proletarian writer's little house is located in the resort town of Bad Saarow, in Brandenburg, southeast of Berlin. It was here that Gorky underwent healing treatments and worked on a collection of stories that included a very moving work called First Love. The museum was established in the typical Russian wooden house in 1972. The Nikolai Gogol Cultural Center was established in Rome in the apartment where the writer lived between 1838 and 1842 and worked on Dead Souls, "The Overcoat" and Taras Bulba. The writer passionately loved Italy, spoke Italian very well and even founded a charitable fund for Russians visiting Rome. "I can write about Russia only in Rome," he said. "It is only there that it appears to me in its entirety, in all its enormity." The writer's museum is located in the western Parisian suburb of Bougival, on a street that is unsurprisingly now called rue Ivan Tourgueniev. The writer bought the mansion on the banks of the Seine in 1874, after which it became a center of creativity. Turgenev hosted fellow writers Emile Zola, Gustav Flaubert, Guy de Maupassant, Mikhail Saltykov-Shchedrin and composers Camille Saint-Saëns and Gabriel Fauré at the house, dying there in 1883.